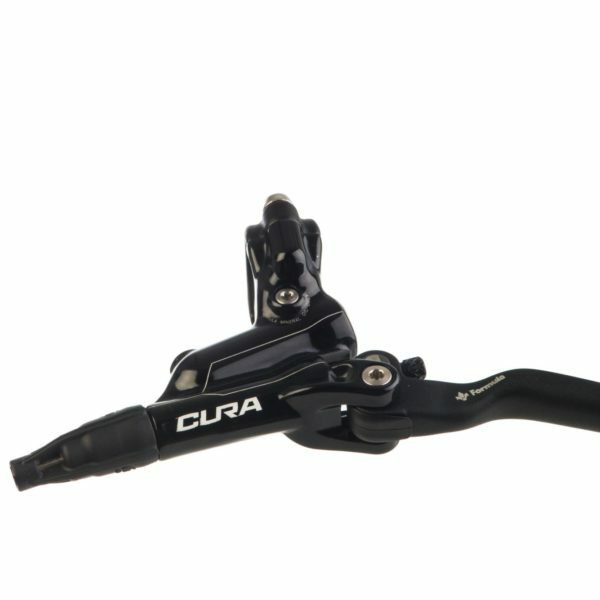 The Cura is a clean, simple, and great riding brake designed to fit all riders and their bikes. The lever, designed for the human factor, is our most ergonomic and intuitive yet. 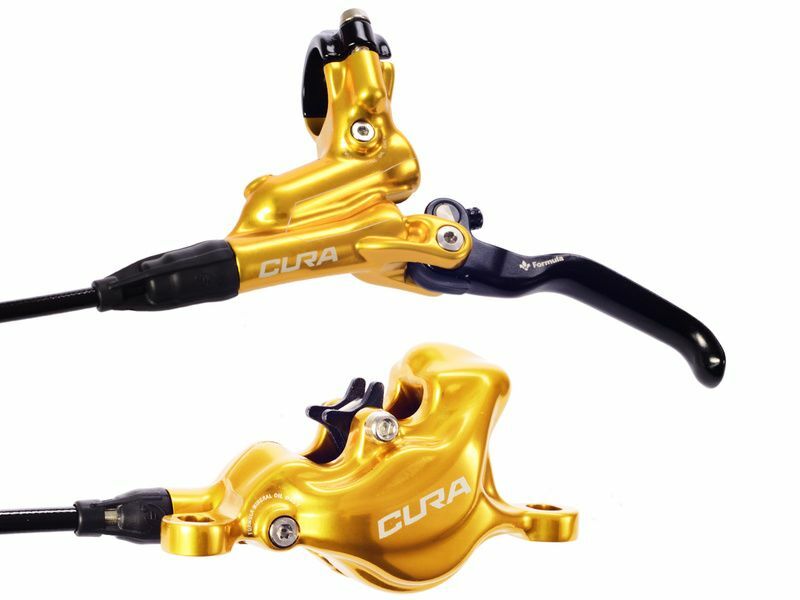 With how capable mountain bikes have become at conquering any trail our caliper is proficient in taming the bike to overcome the trail. 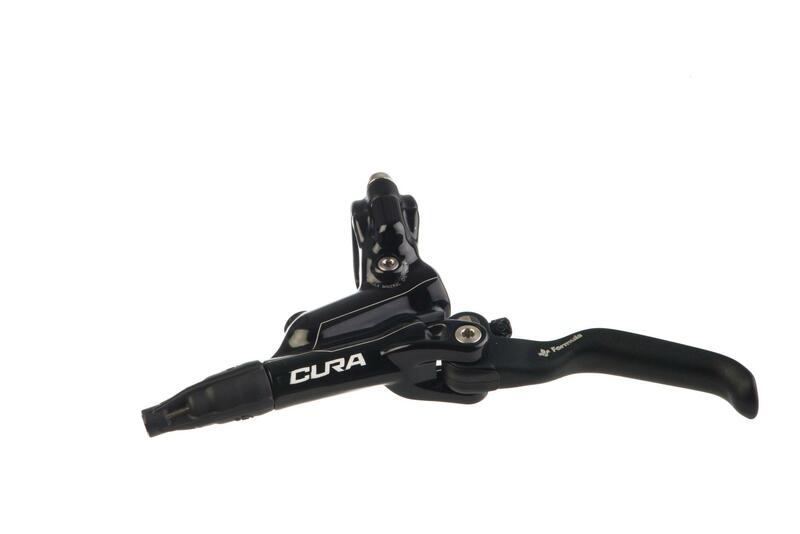 This new era of Formula disc brakes has given us the chance to change our status quo. 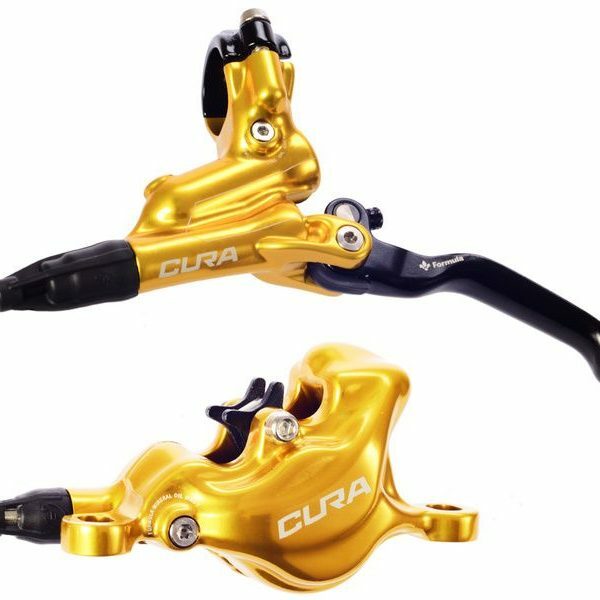 The Cura is Formula’s first brake to use mineral oil. Our brake performance standards have always been out of the range for the inclusion of mineral oil. We have finally found and use a mineral oil that complements the performance of our brakes. Type Axial – Forged Aluminum. Body Finish – Glossy Black or Polished. 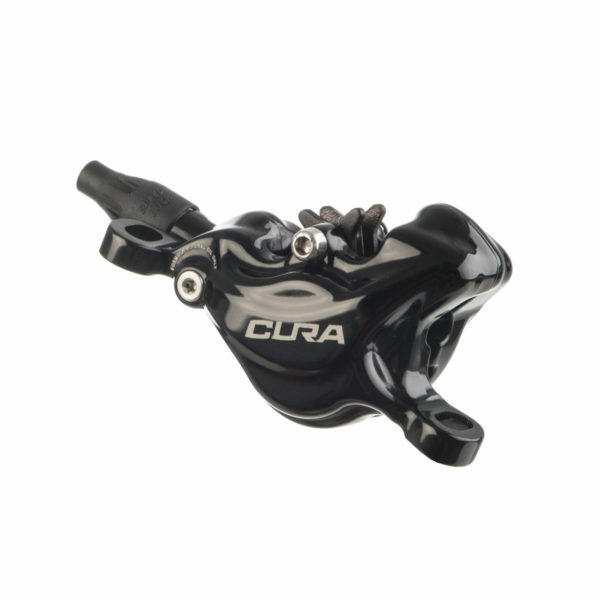 Clamp Colour – Matte Black.Screws – Stainless Steel. Type – PM6 with 24mm pistons. Body Finish – Glossy Black. 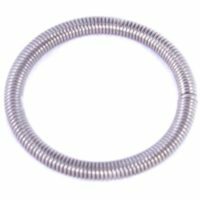 Screw Colour – Stainless Steel. Pad Type – Organic Compound. Hose Length – 175cm rear. 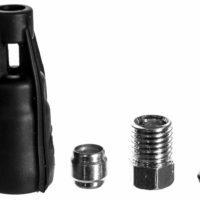 Hose Finish – Matte Black. Feeling Control System – Not Compatible. 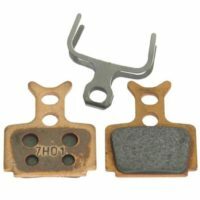 Brake Pads – All Compatible. With 85cm hose, 160mm 1-piece rotor and mounting hardware 359g. 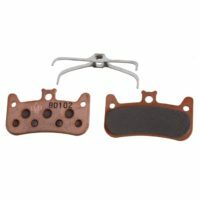 Formula’s sintered brake pads are of a high density construction giving increased performance without fade over longer periods of sustained use. Constructed under high pressure and temperature the pads feature copper fibres which help to dissipate heat away from the braking surfaces to maintain performance. The hardwearing pads offer increased life even in abrasive conditions and are excellent for larger riders, on DH bikes or wet use. The coverings are made of sintered materials and bound with synthetic resin. In order to improve the braking properties and reduce abrasion, the coating contains small amounts of metal particles. Nevertheless, the coverings are mostly sintered, you could say they are semi-metallic. This mixture gives optimum dry and wet braking values and also keeps the wear of the disc low.